Born and bred Essex publican’s daughter, threw away the stiletto shoes and emigrated to Surrey over 40 years ago! Proud wife, mother, stepmother and grandmother of several gorgeous young people. Joined Surrey Chambers of Commerce in 1998 as their first Regional Manager. 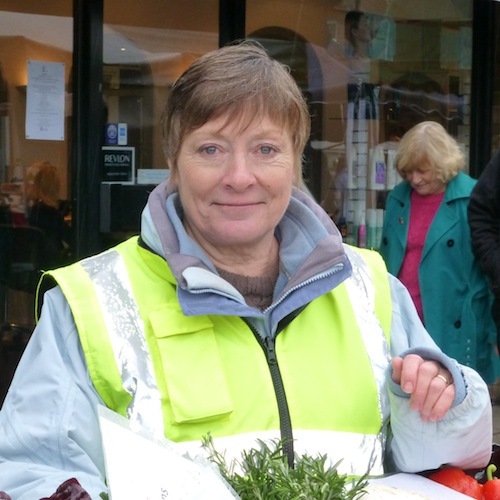 Working out of the Town Hall in Epsom we formed the Epsom and Ewell Business Partnership and, in a bid to encourage retailers to open their doors on a Sunday, we started the monthly Epsom Farmers’ Market in 1999. After several happy years with Surrey Chambers of Commerce old age started to catch up and I retired at 62, but carried on managing the three Farmers’ Markets that we had by then. When Surrey Chambers of Commerce re-structured in 2010 it became clear that the markets were not within their scope of expertise so I launched Surrey Markets Ltd. Currently running at The Heart of Walton, Epsom, Camberley and Cobham Farmers’ Markets, plus the lovely Friday weekly Traditional Market in Dorking, which I manage on behalf of Mole Valley District Council. Always looking for further opportunities to bring our Farmers and Producers to other venues in and around Surrey. Michael is a Chartered Surveyor specializing in the commercial and industrial markets. Until recently he was appointed as an arbitrator or as an independent expert on dispute resolution. He is now a board member to ensure others are up to speed in this field. He is also a Registered Valuer to his Institution. He has two grown-up children and three grandchildren, two girls and a boy. Michael is married to Carolyne and they live in Epsom. In his leisure time he enjoys watching most sports and is a supporter of Dorking Rugby Club. 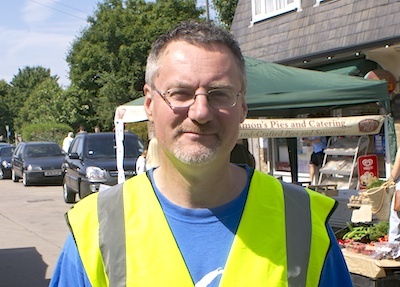 Andy has been happily standing in fields, car parks and town centres in all weathers ever since Carolyne press-ganged him into helping at the Cobham Market some 5 years ago. 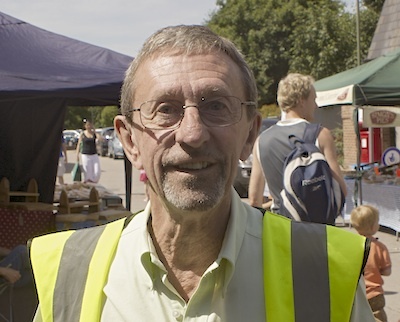 Always ready to help directing vehicles, stallholders and the public or just to help where needed –he would like to think that he is the power behind the throne. Andy’s day job sees him heading up the Business Development function at the Surrey Chambers of Commerce. This involves working with businesses of all types and sizes and across all disciplines in the most commercially important business community outside of London – so he always has something to say on any business subject!